In 2012 over 6.5 million viewers watched Shelina triumph in the MasterChef final: with her instinctive spicing and intense flavours, she brought Mauritian food to TV for the first time, inspiring legions of home cooks to try out her recipes at home. Mauritius is a melting pot of cultures and Shelina’s food reflects that, encompassing Creole, French, Indian, African, British and Chinese influences. From Gajaks, street food such as chilli cakes and daal puri (flatbreads with split peas), to vegetarian chickpea and sweet potato curry and black lentil fricassée, there is an emphasis on freshness and subtle spicing. The island’s French heritage can be seen in classic Mauritian dishes such as Lamb ‘La Daube’, aubergine toufé and king prawn rougaille. Many of the curries, pulses and rice dishes are vegetarian and gluten-free. Plus, from the ‘Mango Queen’, there are enticing desserts including mango creme brulée and spiced tea rum baba. Sunshine on a Plate showcases the food of this beautiful island in Shelina’s unique home cooking. 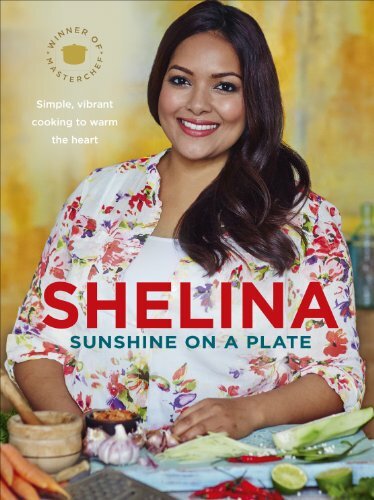 With family-friendly, time-saving recipes and beautiful photography on location in Mauritius, this book will make Shelina a true star of the cookery world.